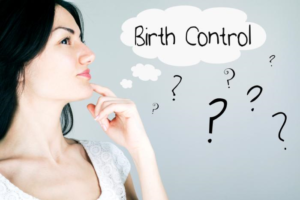 Preventing an unplanned pregnancy is a personal decision, but when choosing a method that works best for you becomes confusing and complex, the compassionate staff at Community Health Connection will help to eliminate any confusion. Each person receives personalized family planning services and contraceptive counseling, and with a wide selection of FDA approved birth control onsite, individuals can choose the contraceptive that meets their needs during the same visit. Start by investigating the diverse types of birth control available from the lists below. An additional page will pop up with details including a description of the birthcontrol, effective rates, the ability to protect you from a sexually transmissible disease. We welcome you to call 918.622.0641, and schedule an appointment with one of our providers who can answer all the tough questions like which method is the most effective or what is the difference between hormonal and non-hormonal methods? You can turn to us and we will go to my portal readily provide you with essential latin homework help.